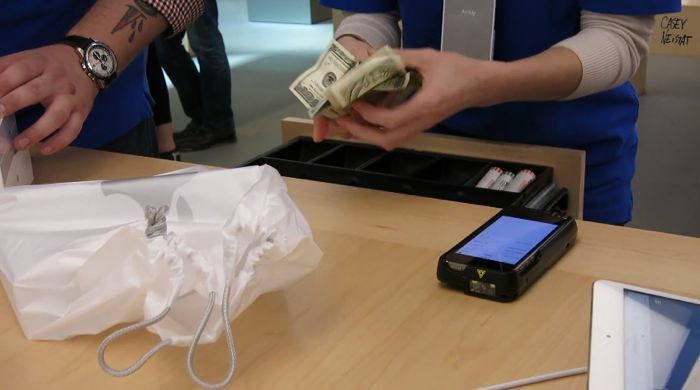 We have seen plenty of videos of people waiting in line before the launch of Apple’s new iPhone 6, and now we have another video, which shows the dark side of the iPhone 6 launch. Apple didn’t manage to launch the iPhone 6 in China at the same time as the U.S., because the handset is waiting for regulatory approval fr0m the Chinese authorities. This has created a black market for the iPhone 6 and iPhone 6 Plus in China, and Casey Neistat has put together a video capturing the dark side of the iPhone launch. In the video below, we can see people camping outside Apple stores for the iPhone 6 launch, and then buying multiple handsets with cash, the phones are then transferred to other people. As you can see from the video, it is clear that a lot of iPhones that were being purchased were intended to be sold on the black market in China, and there are reports of these devices being sold in China for as much as $4,000.